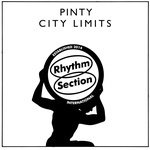 Peckham MC and DJ Pinty is set to release his debut EP City Limits on Rhythm Section International. Following the recent release of his debut single "Tropical Bleu", a laid-back broken-beat roller produced by friend and collaborator King Krule under his DJ JD Sports alias, Pinty has quickly become the talk of the town. "Nightcrawler" presents a simmering nocturnal dance cut, charged with glowing bursts of deep house and candid lyrics. With deeply personal lyricism and wry humor, "City Limits" adds color to a mostly grey city. South London favorites Chaos In The CBD come back to Rhythm Section International one year after their breakthrough EP Midnight In Peckham (RS 008EP, 2015). The original EP captured a moment in time in a way few songs can manage, it was hailed as a masterpiece. This follow-up EP is an equally sublime collection of tracks that revel in the late-night soulful feel that Chaos In The CBD have been honing over the past two years. Its strength lies in its subtlety -- the tracks demand your attention in an effortless fashion and hold it, right 'til the last beat. 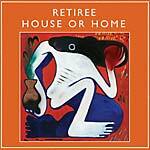 2014 release, repressed. Sprung up from his much-fêted clubnight of the same name, Bradley Zero has enlisted fellow Peckham local Al Dobson Jr. to inaugurate Rhythm Section International with this: Rye Lane Volume 1, an 11 track mini-LP stuffed to the rafters with summery goodness. The importance of location on Rye Lane Volume 1 appears both tantamount and inconsequential: many of the titles on offer dot specific points of reference on the map (Peru, Grenada, Cameroon, Columbia, Peckham's Rye Lane), but Dobson Jr does his best to melt these heterogeneous influences down into something definably his own. Elliptical funkiness and nimble calypso grooves bob and weave through the melodic, soft-tone jazz stylings, all underpinned by a steady bump. This melange of warm styles mirrors the Peckham streets upon which it was cooked up, teaming with raw energy but quietly confident enough not to shout too loud about it. Tempos shift up and down at will as Dobson Jr shuffles through his strong pack at speed, maxing out the replay value. With it being almost impossible to define the sound of Rhythm Section in one record, Rye Lane Volume 1 perfectly fits the role of inaugural release by the way in which the album encapsulates the sum of Rhythm Section's influences into one coherent blend of experimental, percussive led jams. This selection of tracks, carefully curated from over 200 never-released works, is a concise statement from the Peckham based label as it confidently steps out from its humble suburban origins into the international arena. Rhythm Section International presents its second offering, Rye Lane Versions. Rye Lane Versions is reworks of Al Dobson Jr by Polish rising stars Ptaki and Manchester mainstay Ruf Dug. On the A side the Polish duo Ptaki take Dobson's tribal tom-tom rhythm and extend it into a sprawling disco epic, adding catchy keys and sensuous vocals. Ruf Dug's rework, "Ruffy's 3am Canavan's Special" takes inspiration from late night sessions at the infamous Peckham pool hall that is home to Rhythm Section, with metallic stabs of guitar layered over an aggressive squelchy bass sound and sharp phasing hi-hats. In the past two years, Jordan Rakei has immersed himself in the London scene, winning plaudits from countless tastemakers and thousands of fans along the way. For a musician so unconstrained by style, one moniker would never suffice. Enter Dan Kye, Rakei's stripped-back electronic alias. Joy, Ease, Lightness is aimed squarely at the dance floor, but with a meditative awareness that reaches beyond the club. Fans of Seven Davis Jr, Steve Spacek et al, watch out; there's a new man in town, and he goes by the name of Dan Kye. Rhythm Section look to Poland once more for two of the most uplifting tracks of the year. Earth Trax (The Phantom, Ptaki) and newcomer Newborn Junior pull two absolute classics out of the bag here that do what they say on the tin. Both "Sax Track" and "Flute Track" center around ecstatic MIDI melodies on (you guessed it) saxophone and flute! Falling somewhere between the late-night deep house excursions of Ron Trent (circa "Morning Factory" era) and more recent retro-leaning breakbeat driven output from the Pender Street Steppers et al, the Sax & Flute EP is a masterclass in sustain-release. 2017 release. From the morphing polyrhythmic percussion of "Surface" to the shifting, heady pattern of "Aquitaine" via the psychedelic breaks of "Untitled", Mallard's Verte takes the listener on quite the trip. Equally at ease on the dance-floor as it would be for an introverted headphone session, Mallard's first offering to the world via Rhythm Section International is one to remember. Neue Grafik's Innervision takes cues from the broken-beat sound of London while paying homage to the Parisian house dance scene. Largely sample based, but also employing more live instrumentation than before, Neue Grafik's music is informed by movement and offers much to which dancers can respond.The EP begins with the lysergic ebbs and flows of "Innervision", (featuring Wayne Snow's sublime vocal performance) and moves effortlessly to the uplifting bruk of "Dance to Yemanja" via the staccato of "Peckham Rye" before finishing on the hauntingly melancholic tones of "Aulnay's Tears", an homage to the victims of French police brutality. String Theory's Modularity is an exciting fusion of jazz and house, clear from the get-go opener "Dirty High". The track is made up of energetic drums and swelling synths that seem to shimmer across the surface of its playful melody. Next up is "Mr. Tiger", full of jazzy synths that oscillate on either side of steady beats, before eventually giving way to catchy little piano riffs. It's hard to say where the RS crew keep finding these gems, but long may it continue; String Theory tick so many boxes that one can hardly wait to hear more. After a debut outing on International Black in 2017 with his best friend Mallard, LT graduates onto Rhythm Section International with a stunning debut solo effort, Forest Floor. Aged just 20 years old, Lewis Taylor, aka LT, is another prodigal talent from the north of England. Sitting somewhere between electro, house, and techno with a healthy dose of breaks -- LT constructs complex arrangements with as much of a nod to the retro summer of love stylings of Lone as to the new age bounce of the Pender Street Steppers.